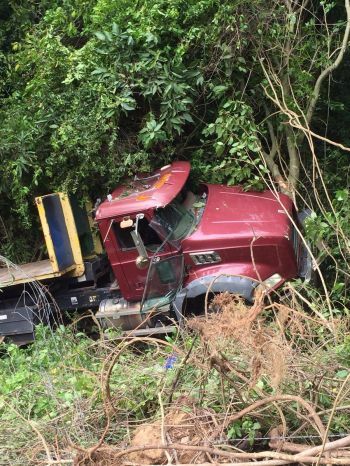 LONG TRENCH, Tortola, VI – A truck ended up over the side of a hill in Long Trench on the main island of Tortola today January 28, 2016. 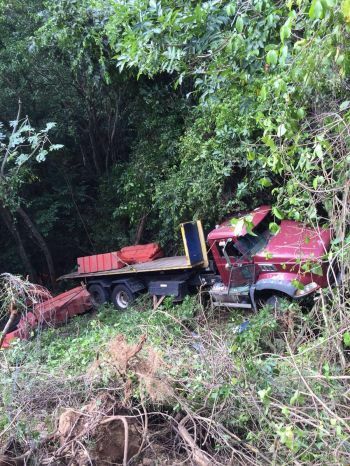 According to persons on the ground, the driver parked the truck on the side of the road and exited the vehicle for a few minutes. After a short while, the vehicle rolled forward into the ravine. That looks like crabbe truck. what does that have to do with NDP?? I would say, It's the sins of that company!!! !